Millions of people around the world suffer from a condition known as trichotillomania, and while you may not have heard that word before, it could be something that affects your life. Do you constantly pick at and pull out hair on your scalp or even other places on your body? 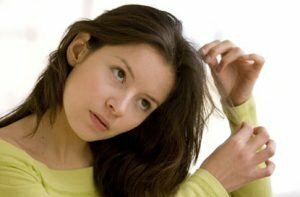 If so, you may have trichotillomania, an obsessive compulsive disorder that is characterized by a compulsive need to pull out one’s own hair. While there are several techniques and methods that can help you reduce this habit, there is no single proven cure. If trichotillomania has affected you so much that you have thinning hair and bald patches, the team at Continental Hair is here to offer a solution. We have several hair replacement services available, including wigs and toppers. Whether you need a topper to add some thickness to the top of your scalp or a complete hair replacement system, we will work with you to find what’s best. In addition to covering up your bald spots, a wig will at least partially cover your natural hair, making it harder to pull out in the future. For more details about trichotillomania and the hair replacement solutions we have available, contact Continental Hair today!